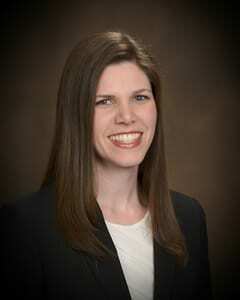 Dr. Melissa Jones was born and raised in Houston, Texas and graduated from Stratford High School. After earning a B.S. from Northwestern University in Chicago, she returned to Houston to attend Baylor College of Medicine for medical school, pediatrics residency and pediatric neurology residency. Being trained at both Texas Children's Hospital as well as in the Harris County Hospital District, Dr. Jones is well prepared for both the simple and more complex neurological disorders. Dr. Jones treats a broad range of neurological conditions including headache, seizures, epilepsy, autism, ADHD, tics, developmental delay and concussion. She graduated from Pediatric Neurology training in 2011 and has been practicing in Houston and the surrounding area since. As a native Houstonian, she is proud to be able to provide quality, comprehensive neurological care to the children in her hometown community. Dr. Jones is Board Certified in Neurology with Special Qualifications in Child Neurology. Married with two children, Dr. Jones enjoys spending her leisure time traveling, dancing, and engaging in family-friendly adventures.